Is It Dangerous to Quit Cold Turkey? Many people have benefited from using antidepressants. However, some of these medications have potential for abuse and can cause withdrawal symptoms when they are abruptly stopped. Disclaimer: This page focuses on people who are abusing antidepressants. It is in no advising people who were prescribed antidepressants and are taking them as directed to quit using them. Who Answers? for help finding a treatment program. These drugs are also used in the treatment of some other psychiatric conditions, including anxiety disorders, certain personality disorders and PTSD (post-traumatic stress disorder). Many people experience withdrawal symptoms when they discontinue antidepressant medications. Many people also develop physical dependence to antidepressant drugs. Yet such dependence does not necessarily mean that they have an addiction. In addition, many people who take antidepressants develop a tolerance to them.4, 5 But this also doesn’t mean that they are addicted to them. Clinically, drug addiction means you are engaging in compulsive non-medical use of a drug and that such use continues despite any harmful or negative consequences. Those with substance abuse disorder are compelled to take more and more of a drug, whether it’s been legally prescribed or is illegal. Those with prescriptions for drugs who have become addicted to them will sometimes shop around for a doctor or several doctors willing to prescribe for them. Clinical evidence shows that antidepressant medications do carry the potential for mild physical dependence (compared with the physical dependence that occurs with alcohol or narcotic drugs, such as heroin, morphine or OxyContin). If, however, you use antidepressant medications for reasons other than their intended use, and this use results in drug-seeking behavior, you may have a substance use disorder. Some individuals also combine antidepressant medications with other drugs to experience euphoric effects or otherwise amplify a high. The antidepressant Wellbutrin has a documented potential for addiction.4, 5, 6 Wellbutrin is an atypical antidepressant that affects the neurotransmitters dopamine and norepinephrine. It often has an activating, or stimulating effect, with the potential to create a mild sense of euphoria or well-being in the person taking it. Inpatient drug rehab treatment, where you are admitted to a structured treatment program in a hospital or clinic and remain for the duration of the initial treatment (usually between 30 days and 90 days). Inpatient treatment can be helpful for people who have tried to quit and relapsed or who need to remove themselves from an environment that could cause them to relapse during treatment. Outpatient drug rehab treatment does not require you to live in the treatment center. You attend specific treatment sessions and then return home. Even people who opt to attend inpatient treatment may eventually transition to outpatient treatment. Group counseling consists of treatment or therapy with other people who have the same or similar substance use problem(s). The advantages of group counseling include learning from others, getting multiple viewpoints on recovery issues, and being provided the opportunity to develop strong social support with others who have similar goals. Individual therapy/counseling consists of one-on-one treatment sessions with a therapist or counselor. One major advantage of this type of treatment is that you are the sole focus in treatment, and your issues can receive more attention. Twelve-step programs, such as Alcoholics Anonymous or Narcotics Anonymous, have an established, specific plan and course of action that includes strong sources of social support. Attending 12-step meetings also can help someone achieve positive results and maintain recovery momentum without the expense of other modes of treatment, since these groups support themselves through optional donations rather than fees. Dual diagnosis treatment refers to treatment for people with more than one diagnosis: for example, substance use disorder and another psychological condition, such as bipolar disorder. The most effective combination of treatments is determined by professionals. Generally, the withdrawal symptoms that occur from stopping the use of most antidepressant medications are not considered to be life-threatening. However, associated psychological symptoms – including depression, anxiety and irritability – may worsen upon withdrawal. In these cases, individuals should be closely monitored for suicidal ideation or self-injurious behavior. Also of concern is a slight risk of seizure activity in those discontinuing Wellbutrin. Medical monitoring helps to manage this potentially dangerous consequence of withdrawal. Symptoms consistent with depression (e.g., mood changes, lethargy, sadness). Flu-like symptoms (e.g., muscle aches and chills). Symptoms arising as a result of abrupt discontinuation of selective serotonin reuptake inhibitor (SSRI) medications (e.g., Prozac, Paxil, Zoloft) will vary based on the specific SSRI, the length of time you were taking it, the dosage taken as well as any contributory physical and/or psychological issues.. Symptoms first occur on an average of between 2 and 4 days. The average length of reported symptoms as result of discontinuing SSRIs is 5 to 8 days. The precise time frame can vary considerably, however, with a reported range anywhere between 1 and 52 days. Sensory symptoms: such as numbness or sensations of pins and needles. Disequilibrium symptoms: such as dizziness and light-headedness. Somatic symptoms: such as lethargy, headache, sweating and loss of appetite. Gastrointestinal symptoms: such as nausea, diarrhea and vomiting. Disturbances with sleep: such as insomnia, nightmares and vivid dreams. Affective symptoms: including anxiety, agitation and depressed mood. The last group of symptoms often may be attributed to the return of the person’s clinical depression. This may result in the resumption of antidepressant use or other attempts to reduce the rebounding depression. Typically, these withdrawal symptoms will dissipate within 24 hours of restarting the medication. First 24 to 72 hours. Withdrawal symptoms appear within the first 24 to 72 hours following discontinuation. Seizure activity has been documented in some cases of Wellbutrin withdrawal, with the risk being highest during this initial time frame. Additional features of early withdrawal can include flu-like symptoms, mood swings and racing or erratic thoughts. First week. 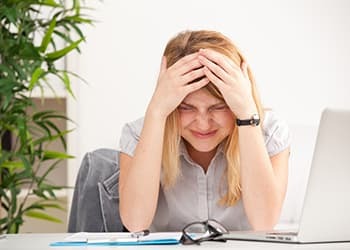 Within the first week, issues with mood, fatigue, muscle tension and even feelings of dissociation (that you are disconnected from your body) may occur. Second week. During the second week, the physical symptoms typically subside. However, you may still experience issues with mood and sleep, and you may begin to experience vivid dreams or nightmares. Third week and beyond. The most common symptoms after 3 weeks include weight gain, rebound depression (a return of depressive symptoms that were present before you began to take the medication), and overall feelings of malaise. Quitting suddenly can lead to potentially dangerous withdrawal symptoms. It is never a good idea to quit “cold turkey” or abruptly discontinue antidepressant medications without first consulting with your prescribing physician. If you are abusing antidepressants beyond the prescribed dose, hastily quitting them can give rise to a number of difficult physical, emotional and psychological symptoms. Instead, discontinuation of the medication should be done with the assistance of a physician who can prescribe a tapered dose/schedule, while monitoring for and managing any dangerous withdrawal symptoms that may arise. Medically assisted treatment options can help make the recovery process start off comfortably and smoothly. Do not use threats, judge them or approach them in a confrontational manner. These behaviors will cause the person to be defensive and resistant – and may even make the situation worse. Offer empathy and understanding. Explain how their behavior is viewed by you and how it affects you. The person can argue with you about how their drug use is of benefit to them. But they cannot argue with you about how you feel about their actions. Express compassion. Communicate concerns in a genuine, caring manner. Be ready to stop if the person becomes resistant or angry. Back off and try again later. Recommend a treatment program. Suggest that the person consider treatment and offer to support them. Offer help and assistance. Do not accept responsibility for their actions, which you can’t change. Work with a physician. Anyone who wants to discontinue an antidepressant medication should discuss tapering down the dosage with a physician or a psychiatrist, as well as discuss other treatment options (especially for depression if the drug was prescribed for this condition). Don’t try the withdrawal process without professional and medical supervision. These are especially important points for those abusing their antidepressant medication. Consider substance abuse treatment if you are abusing antidepressants or addicted to them. Treatment options could include inpatient or outpatient rehab, therapy, alternate medication options and support groups such as Narcotics Anonymous. Drug rehab centers have the resources and expertise you need to recover from an addiction to antidepressants. Call our helpline at 1-888-319-2606 Who Answers? for help finding the right treatment center for you and learn more about recovery options based on your insurance coverage.
. Ingersoll, R. E., & Rak, C. (2015). Psychopharmacology for Mental Health Professionals: An Integrative Approach. Cengage Learning.
. American Psychiatric Association. (2013). Diagnostic and Statistical Manual of Mental Disorders (DSM-5). American Psychiatric Pub.
. West, R., & Brown, J. (2013). Theory of Addiction. John Wiley & Sons.
. Haddad, P. M., & Anderson, I. M. (2007). Recognizing and managing antidepressant discontinuation symptoms. Advances in Psychiatric Treatment, 13(6), 447-457.
. Harvey, B. H., & Slabbert, F. N. (2014). New insights on the antidepressant discontinuation syndrome. Human Psychopharmacology: Clinical and Experimental, 29(6), 503-516.
. Tyron, J. and Logan, N. Antidepressant Wellbutrin becomes ‘poor man’s cocaine’ on Toronto streets. Global News, September 18, 2013.